Hello everybody and happy Monday to you all! All we need is some good positive vibes and energy to face this new week of work, school or whatever your job or purpose in life is, because this season, spring or autumn, depending on your home in this world, can be really tiring and Mondays, too. Positive music helps you begin the day with the right mood, positive music gives you the energy and the concentration you’re looking for to meditate. Have you ever tried with morning meditation? If you think it requires a lot of your precious time, well you’re wrong! An effective morning meditation can last 15 minutes or less and you can practice it just before jumping out of your bed. Choose to do it for your own peace of mind and allow yourself to relax, before starting to fill your mind with daily thoughts and concerns. You may want to focus on one problem at a time, finding the strength you need to face it; or you may want to practice some morning mantras in front of the mirror, to become more and more self confident. 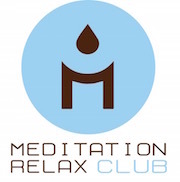 Today we want to give you a special relaxing free mp3 to download and play during these short morning meditations. The song is called Mantra (Chanting Om) from the album “Music Therapy for Svadhisthana”, a collection of soothing songs for the second chakra, the Sacral Chakra which represents your passion and pleasure centre and it is located in the pelvic area. The second chakra is the centre of feeling, emotion, pleasure, sensuality, intimacy, and connection. Playing some meditation music and activating this chakra is the perfect way to start a new day full of new purposes and positive thoughts. Learn to know and love your body, especially in a society where we have several beauty standards that sometimes are utopian. But especially learn to love your mind and values. The color of the sacral chakra is orange, as the color we have chosen today for the cover of this blog.